JOE Lawlor has been added to the Pride of the Potteries after former Stoke skipper Jon Armstrong failed a fitness test on his arm which he broke over the closed season. 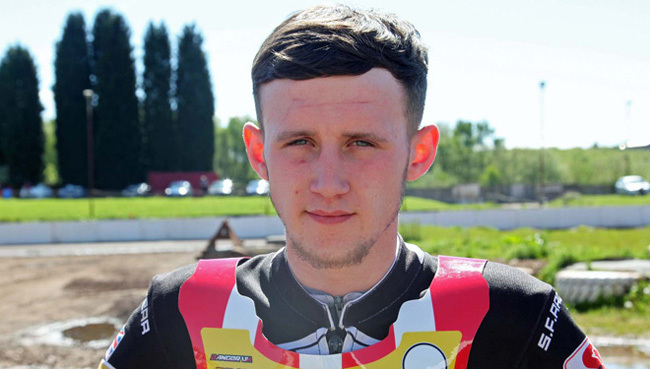 Lawlor, who is Manchester based rode for Sheffield in the Championship last season along with parent club Belle Vue Colts in the National League and also rode for Cradley back in 2017. The youngster has had some impressive performances around the Chesterton circuit over the past couple of seasons’ and could well be a spoiler. Lawlor will ride at number three in the meeting on Saturday, 7pm.